Millions of California's hourly workers will become among of the best paid in the country next year under a new minimum wage law enacted Wednesday. The state's minimum wage will gradually rise from $8 to $10, under the law signed by Governor Jerry Brown Wednesday morning. The hourly rate will increase to $9 on July 1, 2014 and to $10 on Jan. 1, 2016. Brown and state lawmakers have said the increase is needed for the minimum wage to keep up with rising costs. "For millions of California's hard working minimum wage employees, a few extra dollars a week can make a huge difference to help them provide for their families," Senate President pro Tempore Darrell Steinberg said in a statement earlier this month. More than 90% of minimum-wage workers in the state are over the age of 20, while nearly 2.4 million of the state's children live in a household with a parent who earns minimum wage, according to the statement. The pay bump would boost a full-time worker's income by about $4,000 to around $20,000 a year. California last raised its minimum wage in 2008. While the state could surpass Washington State, which at $9.19 an hour has the highest minimum wage in the nation, Washington's minimum wage is also set to increase. Washington's minimum wage is pegged to rise at the rate of inflation each year. 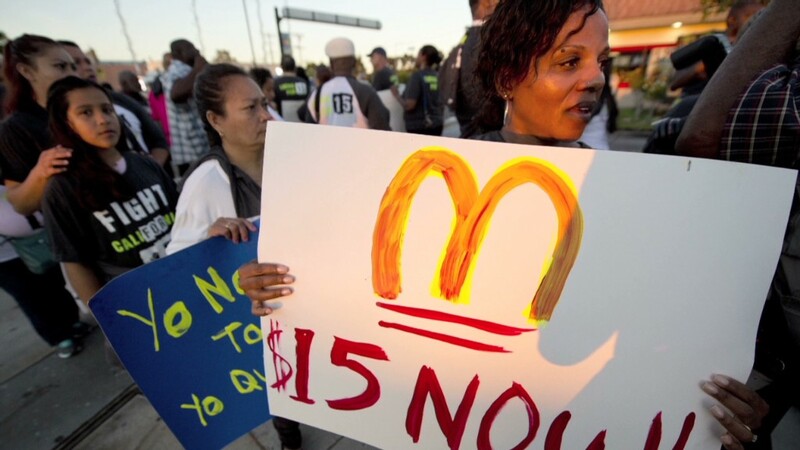 Will fast food unions be the next movement? 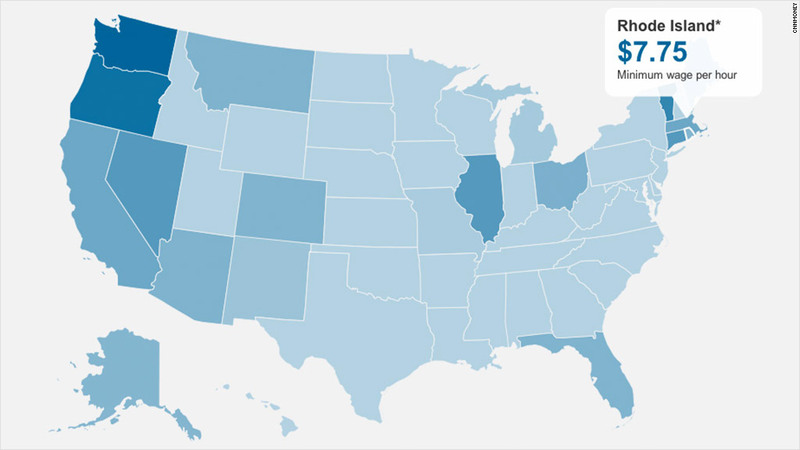 States must pay at least the same as the federal minimum wage, which has been set at $7.25 an hour since 2009. California's new law follows a wave of protests across the country by Wal-Mart workers and fast food workers demanding higher wages. President Obama has also pushed for raising the federal minimum wage to $9, with automatic indexing to inflation.